In Lower Canada, what is now the Province of Quebec, the French-speaking majority had little love for the British colonial overlords, who had governed them since the conquest of New France, fifty years earlier. As with the American War of Independence, they viewed this new war as another fratricidal struggle between Anglo-Saxons, in which the people of Quebec had little interest. The British government, however, had guaranteed their freedom of language and religion, and it was not clear that the Americans would do the same if they were to control Canada. Picking the lesser of two evils, French Canadians served willingly in regular British regiments and militia formations, and fought well in the successful repulse of American forces. 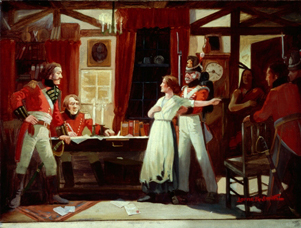 In Upper Canada, which would later form the basis of the Province of Ontario, the British administration was far less sure the population would fight in defense of the colony. 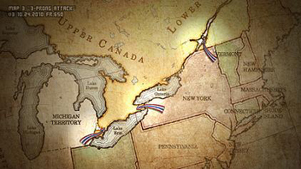 There was a hardy, well-settled core of American Loyalists who had trekked north to Canada after the Revolution. They nurtured a bitter enmity toward their former countrymen who had dispossessed them of all they had and driven them out. But they were lost in the ranks of other American settlers who had come north seeking land after the Revolution, and who now outnumbered the Loyalists. The small and overworked British administration, and its inadequate garrison of regular troops, governed an essentially American colony of uncertain loyalty. 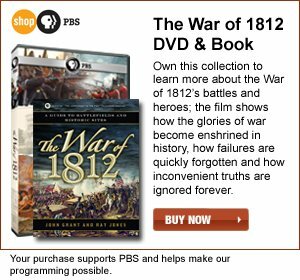 It was this reality, as well as the weakness of the British defenses -- the militia of Kentucky alone could outmatch the total armed force available for the defense of “the Canadas”-- that led Thomas Jefferson to suggest that the conquest of Canada would be a “mere matter of marching.” The American settlers in Canada wanted to protect their homes and farms, more particularly so after the first American troops incursions demonstrated that an American origin would be no protection against burning and pillaging. But these transplanted Americans would not commit to a fight unless the British administration demonstrated it would defend the Canadas. When the British did show they meant to fight, the largely American “Canadian” militia turned out in defense of their new communities against the armies of their former countrymen. The sufferings of Canadian civilians at the hands of American troops, and the legacy of burnt and looted communities along the frontier gave the people of Upper Canada a strong sense, not so much of who they were, but certainly who they were not. And it had been American bayonets and torches that had brought that realization. Nonetheless, when the passions of the war faded, Upper Canadians soon returned to a more natural relationship with the American communities across the border, and re-knit ties of kinship, trade and friendship that the war had, in most eyes, needlessly sundered. In the colonies of Nova Scotia, Prince Edward Island and New Brunswick, opposition to the war was immediate. In this, they shared the feelings of the New Englanders, to whom they were intimately tied by marriage, trade, friendship and natural inclination. 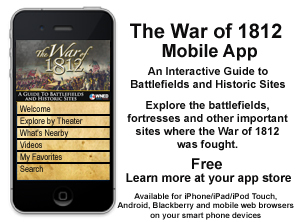 During the war, citizens on both sides sought to minimize the war’s impact. For Nova Scotians, there was an economic benefit, the principal British naval and military base at Halifax bustled with activity during the war, injecting energy into the colonial economy. Privateer vessels from all three colonies preyed successfully on American shipping during the war, establishing some lasting fortunes, including that of Samuel Cunard. Nonetheless, the war’s end brought a sigh of relief, and a quick return to friendly relations and business as usual between New England and the maritime provinces. For the North American Indian First Nation warriors, their courageous and desperate struggle against the Americans ultimately failed. The Shawnee war chief Tecumseh died in battle near Moraviatown, and the disparate tribes that had fought with the British lost not only their leader, but also their political position in the resolution of the war. The refusal of the British government to press redress of First Nations grievances with the Americans, who were in no mood to discuss it, ended all hopes of First Nation security. Having been instrumental in the successful defense of Canada, the warriors and their families lost their dream of an Indian homeland, and continued their decline into marginalization and poverty. Theirs is the most tragic story of all in the War of 1812. The end of the war brought a return to normalcy in terms of trade, and the renewing of ties of friendship and family. The end also brought out, in often poignant terms, the tragedy that such a conflict could have arisen between peoples so closely bound. But some things were different. Great Britain, preoccupied with its European and world concerns after the defeat of Napoleon, had learned a new respect for the United States. For its part, there would be no more talk of a “mere matter of marching” to conquer Canada in Washington’s corridors; the tough and dogged defense that had blunted American invasion efforts ensured that. And for the British North American colonies, the blurred lines that had marked the border with the United States had now become clear. The war ensured that there would be a different society to the north, following its own lights, and having fought for its existence -- as had its neighbour thirty years earlier. Out of that would grow mutual respect and an enduring friendship. Victor Suthren is a Canadian naval expert and the author of the 1999 history, The War of 1812. The Canadian Perspective presents the British North American perspective.